Brazil nuts are a great source of selenium! Moms around the globe hear the phrase, “I’m hungry,” endlessly. It’s extra special in the summer when they’re all home, making minutes seem like hours, and the kitchen a legit diner. It defies logic that such tiny creatures pack so many snacks and meals into one day. Obviously, they’re growing, their bellies are small, and well, they just need fuel at a frequency adults can’t comprehend. The key to keeping sane during the 24/7 requests is preparedness! One of the many tips and tricks taught in the 131 Method is planning ahead. Your bonus tip: have fun while doing it! This satisfying mix tackles both (and maybe some summer boredom at the same time!). Making a few batches of the dry mix at one time prepares you for the hunger game cries that arise out of nowhere (usually just minutes after lunch, it seems). 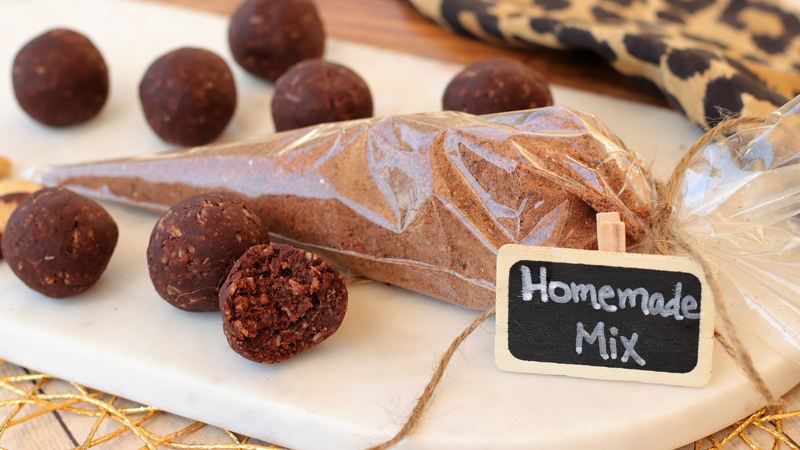 Instead of scouring the house for a healthy snack, grab a pre-made mix and ask the kids to help prepare the final product…bite-sized balls with wholesome ingredients. The assembly is super easy, and perfect for tiny hands eager to help. Simply take the mix, add water and nut/sunflower butter or coconut butter, stir, and roll into little balls. Save leftovers in the fridge. We’re all about making life easier, one healthy recipe at a time. You’re welcome mom! 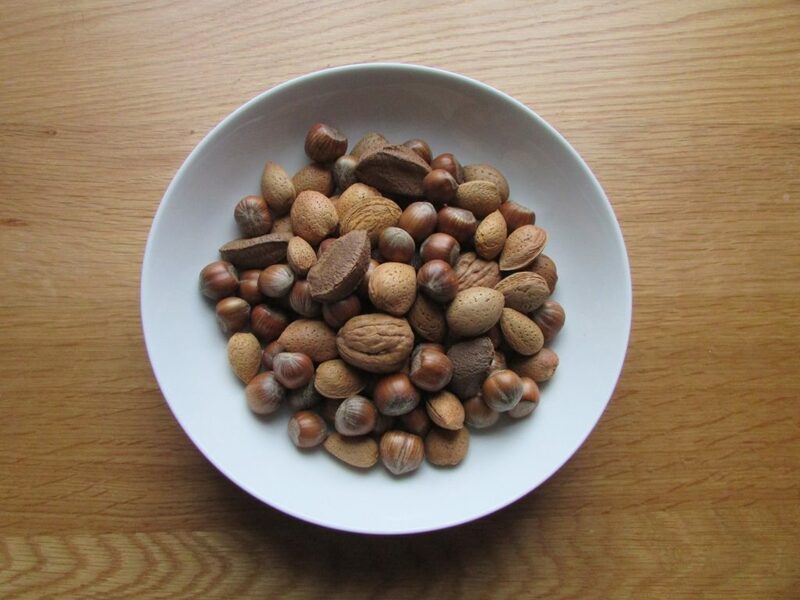 Add Brazil nuts to a food processor and pulse to small crumbs. Add coconut, flax, cacao powder, powdered peanut butter, Swerve, and salt and quickly pulse, just to combine. Pour into a baggie or Mason jar to have on-hand for treat making, or, add to a bowl and stir in the peanut butter and water. Mix until combined and dough sticks together when pinched between two fingers. Roll into 8 balls, or spread into a loaf pan. Chill until ready to eat. If using a loaf pan, cut into 8 squares. You can make this peanut-free by substituting 1 scoop of collagen peptides for the powdered peanut butter and using 2 tablespoons of softened coconut butter with only 1½ to 2 tablespoons of water. You can add a coffee flavor by adding 1 tablespoon of instant coffee powder to the mix. Sweeten with extra Swerve, if desired. Nutrition is for the completed batch with PB powder and peanut butter.